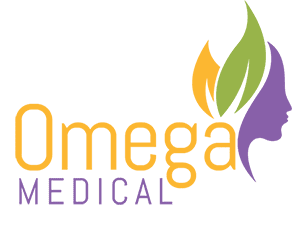 Get Your Dermal Fillers Today at Omega Medical in Florham Park, NJ. Call Us for More Information at (973) 320-7347 or Simply Book an Appointment Online! What exactly are dermal fillers? Dermal fillers are made up of gel-like materials that can be injected under the skin. They are a great way to restore volume in the face, smooth wrinkles and creases, and enhance your face contour appearance. Dermal fillers are also a great option if you are looking for an option that does not involve lots of money or surgery, as it is fast and affordable. Both men and women choose the option of dermal fillers as a way to look younger, naturally. Dermal fillers do a lot more than just clear your wrinkles away, they are also great for smoothing lines around the nose and mouth, enhancing volume to the cheeks, plumping and enhancing the lips, smoothing out chin creases, and improving the overall symmetry of your face. There are a number of FDA-approved dermal filler products that we offer at Omega Medical, which include hyaluronic acid, calcium hydroxyapatite, and poly-L-lactic acid. Our med spa professionals can tell you more about the benefits of each when you come in for an initial consultation at Omega Medical. How long do results from dermal fillers last? Results are highly variable on which type of dermal filler you use, if it is your first time getting dermal fillers, and how deep they are injected. There are also some parts of the face where results may last for shorter periods of time, such as the lips. If dermal fillers sound like the perfect option for you, then please schedule an appointment at Omega Medical soon! Our entire team looks forward to providing you with great med spa services.